We are an independent, friendly, family run support group, run for people with MS by people with MS. We host Social events from small morning or afternoon meetings at various locations around Norfolk, to family picnics and days out, we are happy to go wherever the majority of our members want and suggestions are always welcome. The easiest way is to drop by our FaceBook Group Page and request to join. However you can also join us in the real world at one of our monthly events. 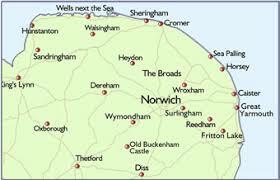 Currently the majority of these events are get togethers at various venues around Norfolk. You may contact us in several ways: Quick messages can be posted via the FaceBook messaging app or on the FaceBook page itself. If you wish a more secure form of contact you may use the form on the Contacts Tab above. Or just talk to us at one of our many social events. Please note this site is currently under construction. Feedback is important, this site is for the members of Many Scars Norwich, should you have any comments or suggestions please use either the contact form or have a chat with one of the team at the next social gathering. Apologies - Postponed until Saturday May 5th. Same venue, same time.